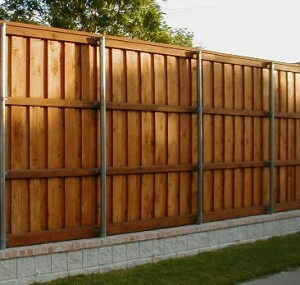 privacy, and also is the sturdiest and most stylish fence option available. 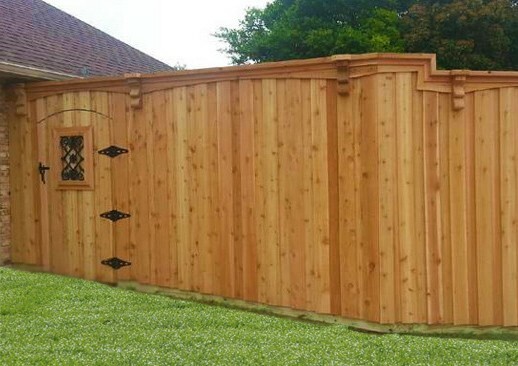 This is our top-of-the-line best fence, and there are many options to upgrade it even further, including decorative ornaments and added trim, to give you a completely custom fence. We use only the best materials available and do not take short cuts to cut our cost. Using the best materials makes a big difference, not only in the overall look of the fence, but also adds years to the life of the fence. 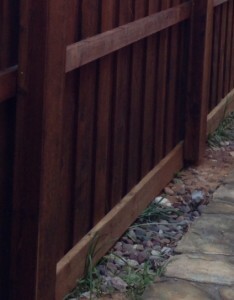 It is our goal to build a fence that will last. We stand behind our fences with our Lifetime Warranty. 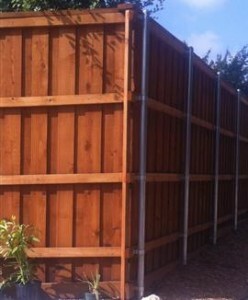 The metal posts that we use for our privacy fences are the best quality heavy gauge, galvanized steel posts. The posts for an 8′ fence are set 6 ft apart, and 3 ft (36″) into the ground using Maximizer concrete. We attach the metal posts to the fence using Simpson brackets, which is one solid piece of steel, rather than multiple piece brackets. Lifetime fences are installed with the pickets raised and a 2×6 pressure-treated board on the bottom to protect the pickets from rotting, water damage, and weed-eater damage. 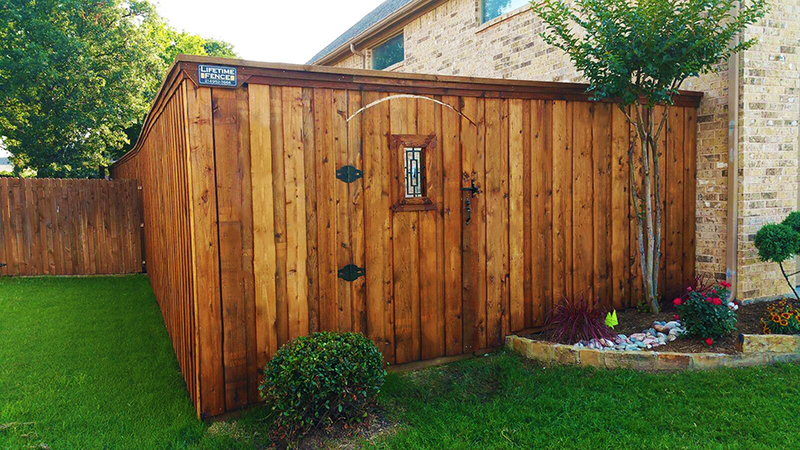 View Our Wood Fence Gallery! 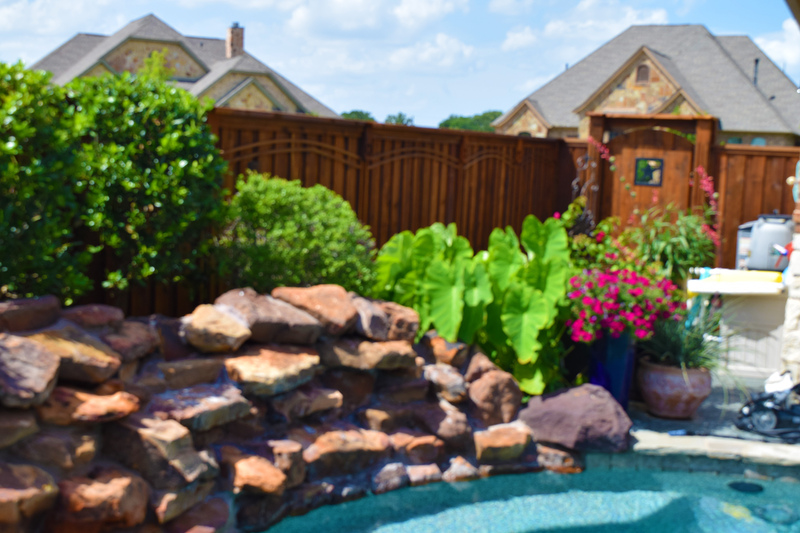 Lifetime Roof and Fence Company of Fort Worth TX will match the price of any written estimate from other local companies using the same materials. Call Lifetime Roof and Fence Company in Fort Worth TX for a Free Privacy Fence Quote! 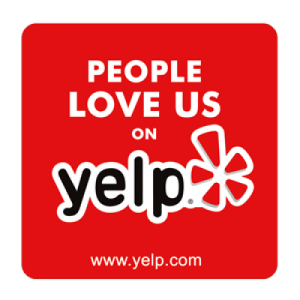 Or use the form below to request a free estimate!